Tribulus Is a Plant Used for Medicinal Purposes. Sometimes Referred to as Puncture Vine, It's Often Taken to Enhance Athletic Performance and Is Also Said to Raise Your Levels of Certain Hormones. 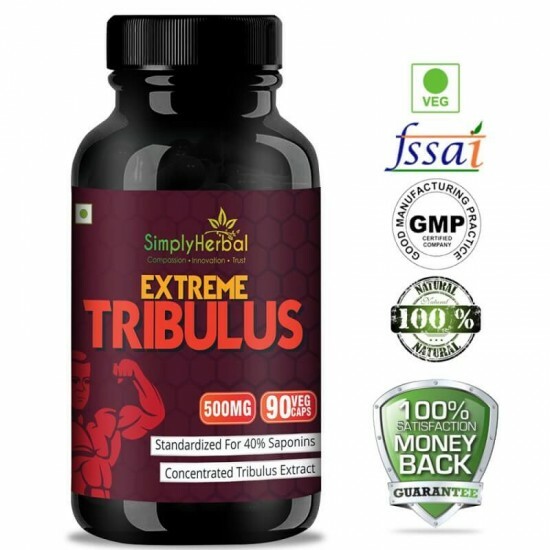 Tribulus Has Long Been Used in Traditional Chinese Medicine, as Well as in Ayurvedic Medicine. It Contains a Number of Compounds With Medicinal Effects. These Compounds Include Antioxidants, as Well Chemical Constituents With Anti-inflammatory, Immune-stimulating, Pain-reducing, and Antibacterial Properties. The Active Ingredients in Tribulus Terrestris Include Saponins, Lignin Amides, Flavonoids, Alkaloids, and Glycosides. 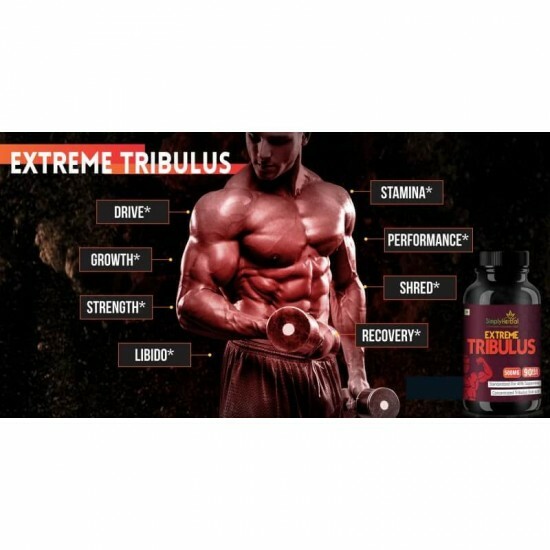 As a Bodybuilding or Training Supplement, Tribulus Is Hard to Beat. 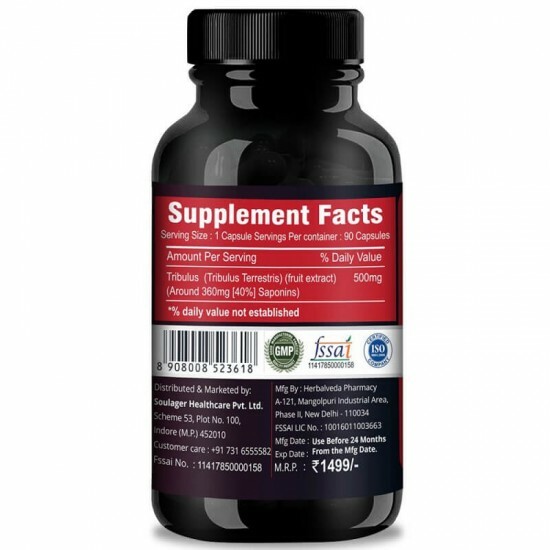 It Contains One Steroidal Saponin in Particular – Protodioscin – Which Is Thought to Be the Active Nutrient Responsible for This Herbs Popularity Amongst Trainers. specifically, Protodioscin Promotes the Release of Nitric Oxide Which in Turn Increases the Flow of Oxygen-rich Blood to Muscles and Enables Better Use of Nutrients Such as Protein. Purely Formulated Capsules – Completely Free From Gluten, Wheat, and Dairy, With Zero Fillers and Binders.no Artificial Ingredients, No Risk of Habit-forming, and No Nasty Side Effects. 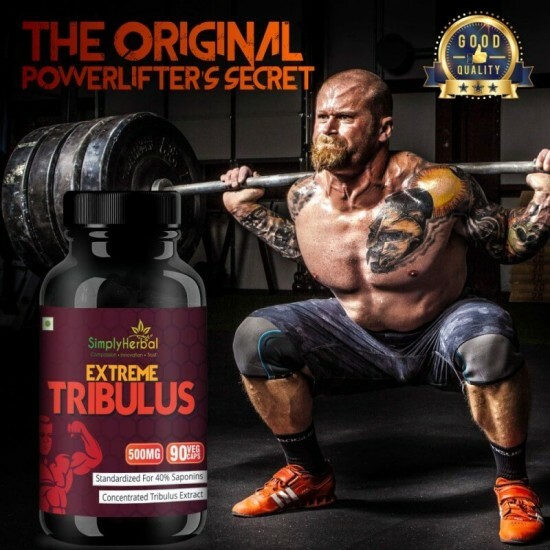 Simply Herbal Tribulus for Powerlifters. One of the Key Benefits Associated With This Natural Supplement Is the Fact That It Has Been Proven to Naturally Increase the Performance. The Reason for This Is That It Contains Protodioscin, Which Assists With Enhancing the Desire and Performance. Our Goal Is to Help People Improve the Quality of Their Lives, by Providing Nutritional Supplements That Will Benefit Their Health. We Developed the Brand to Deliver Only the Highest Quality Supplements and Have Helped Thousands of People Achieve Their Goals. The Capsules Completely Free From Gluten, Wheat, and Dairy, With Zero Fillers and Binders.no Artificial Ingredients, No Risk of Habit-forming, and No Nasty Side Effects.